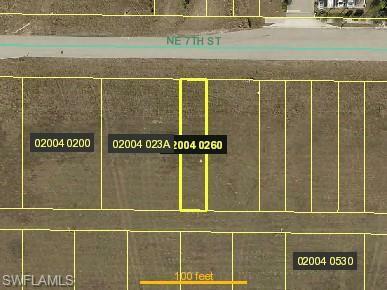 Nice commercial lots for sale. Great location near Pine Island Road and Del Prado Blvd. Buyer to assume all future assessments. Seller owns parcel adjacent to this one and will be selling both as a package. 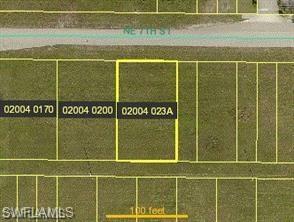 Address for the adjacent lot is 908 NE 7th Ave Cape Coral FL. Parcel ID: 074424C1020040260. This lot measures 125x25. Buyer to assume all future assessments. See Remarks. Listing courtesy of Kimberly Neri of Raso Realty Inc.